I have some pretty fantastic news to share with you! 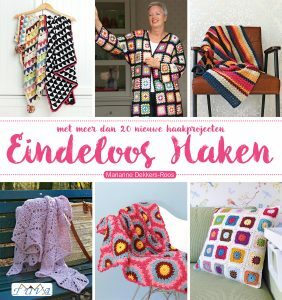 This coming week, from February 14 – February 17, one of the biggest craft fairs in Europe, the “Handwerkbeurs”, is being held once again in the city of Zwolle, The Netherlands. 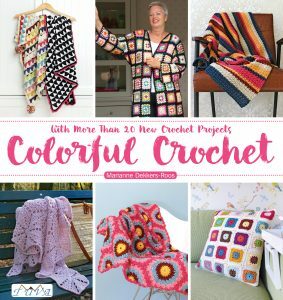 If you love crafts, whether it’s quilting, knitting, crocheting, cross stitch – you just name it – and thus love fabric, yarn, needles, hooks, etc: thís is the place to visit! Zwolle is hometown of one of my fave craft shops, “RitsIn”, and they’re always a participant at the fair – booth 82 is where you can find them this time. 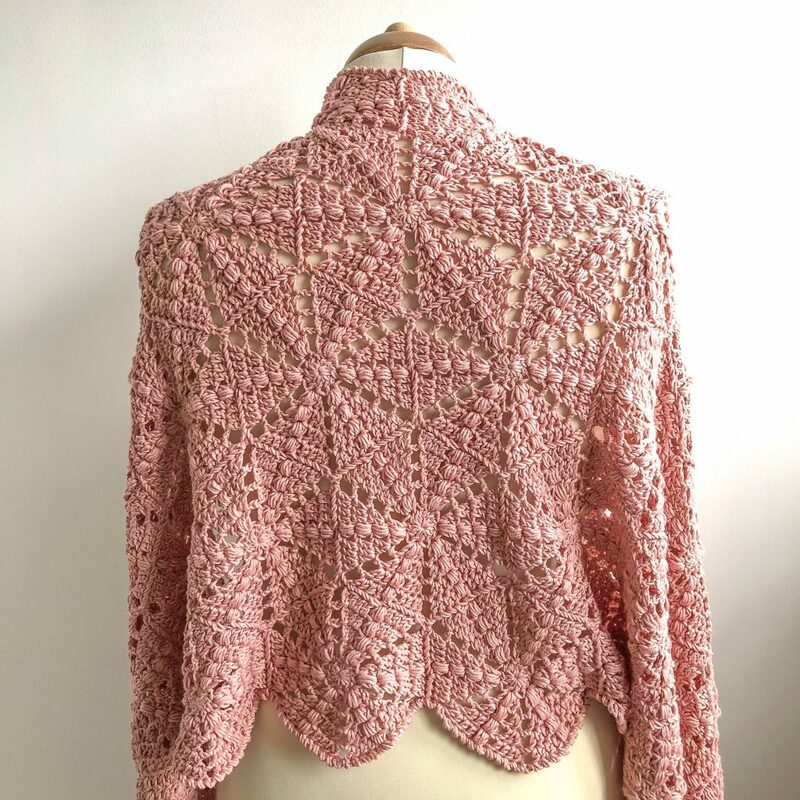 You know how much I love my hexagon shawl “Ursula”, designed for my book “Colorful Crochet” (if not, you can catch up here), and as it turned out the RitsIn-girls are big fans of this design as well. Therefore, I could not have been more delighted – and honored – when they asked me to cooperate with them regarding this specific design! 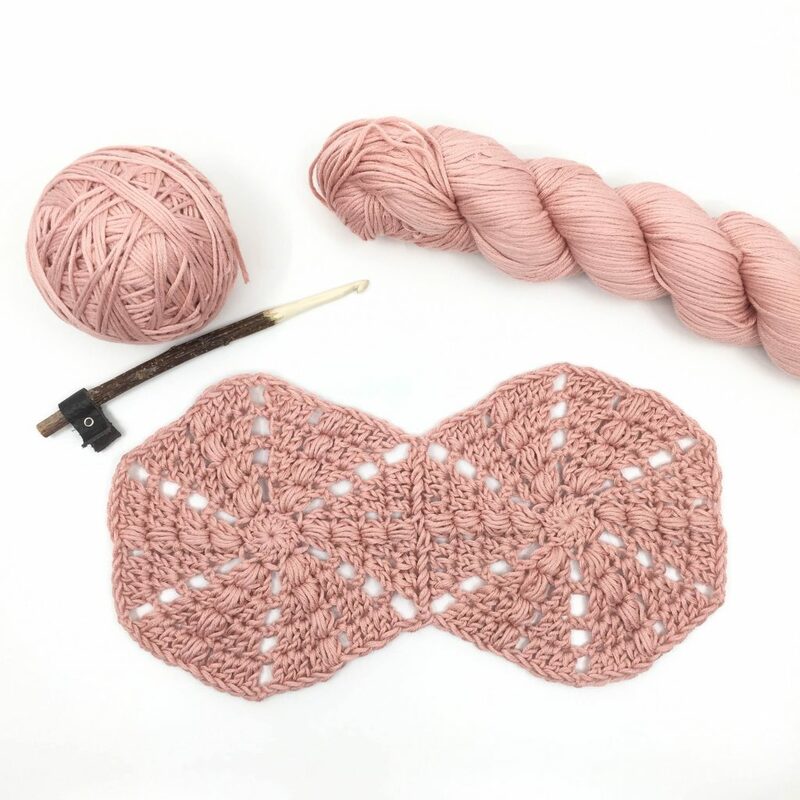 We came up with something special that will be offered exclusively by RitsIn during the “Handwerkbeurs”: a kit with gorgeous DMC bamboo yarn to crochet your own “Ursula”, and that comes with a coupon code so you can get the pattern for free in my web shop! Woohoo! 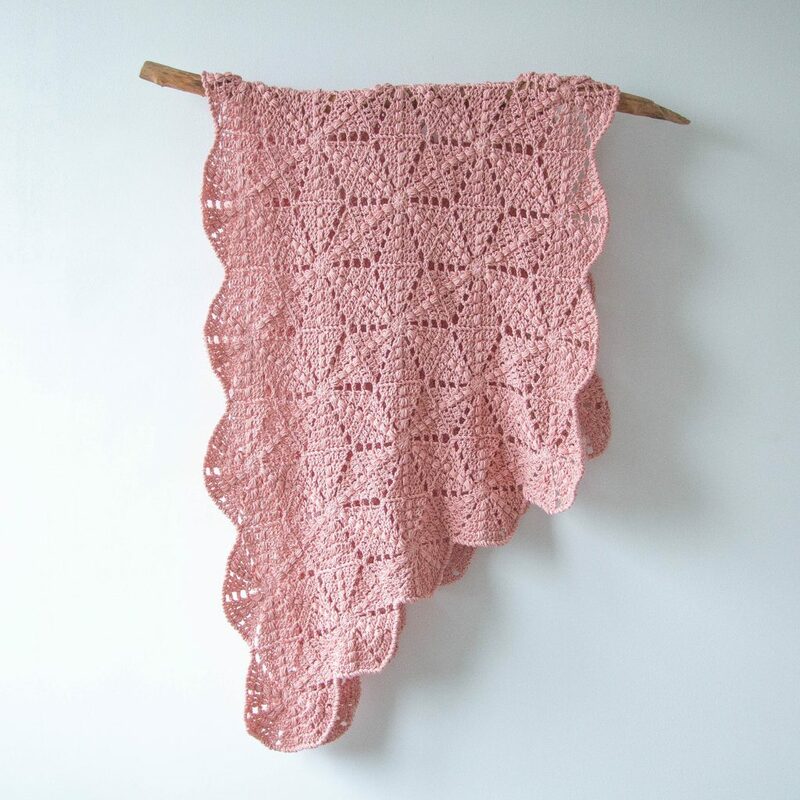 The kit – 6 skeins of beautiful DMC Bamboo + the free pattern – will be for sale for € 37,50. I’m also pretty chuffed to be RitsIn’s special guest during the “Handwerkbeurs” on Saturday morning – February 16 – and I’m looking forward to meeting many of you lovely people there! 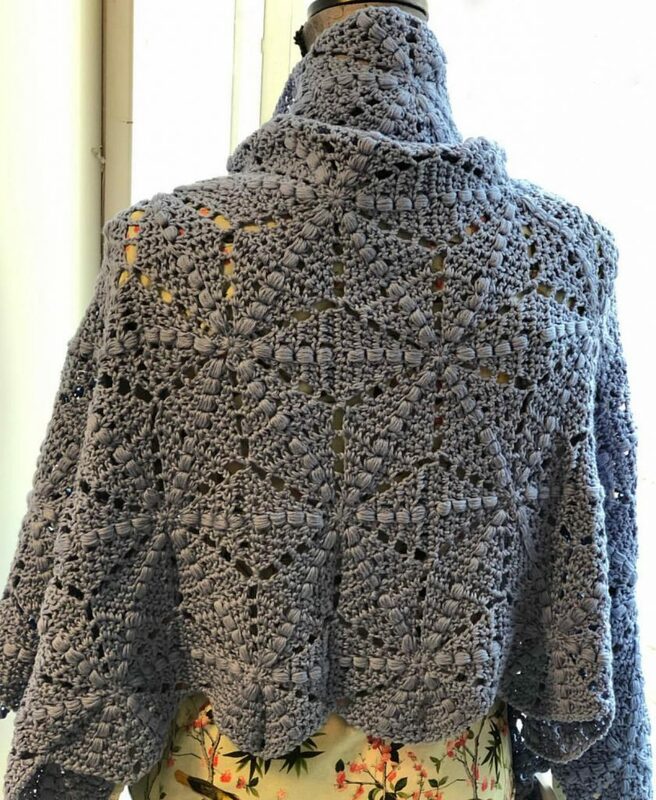 Of course I’ll be bringing the “Ursula” I’ve crocheted over the past few weeks with the beautiful DMC bamboo yarn that you’ll find in the kit, so you can see (and feel) for yourselves how very pretty (if I may say so myself) it turned out. 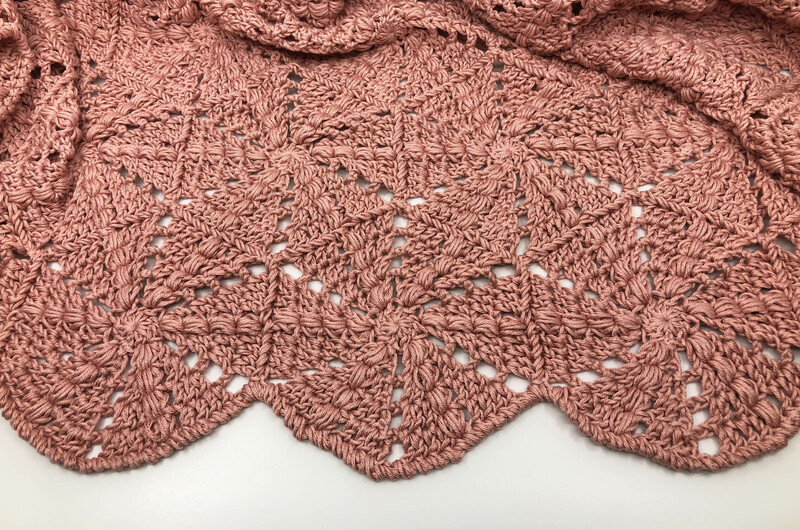 I’m eager to show my “Ursula” here – I haven’t even blocked it yet – and I think even without blocking it looks really good already! 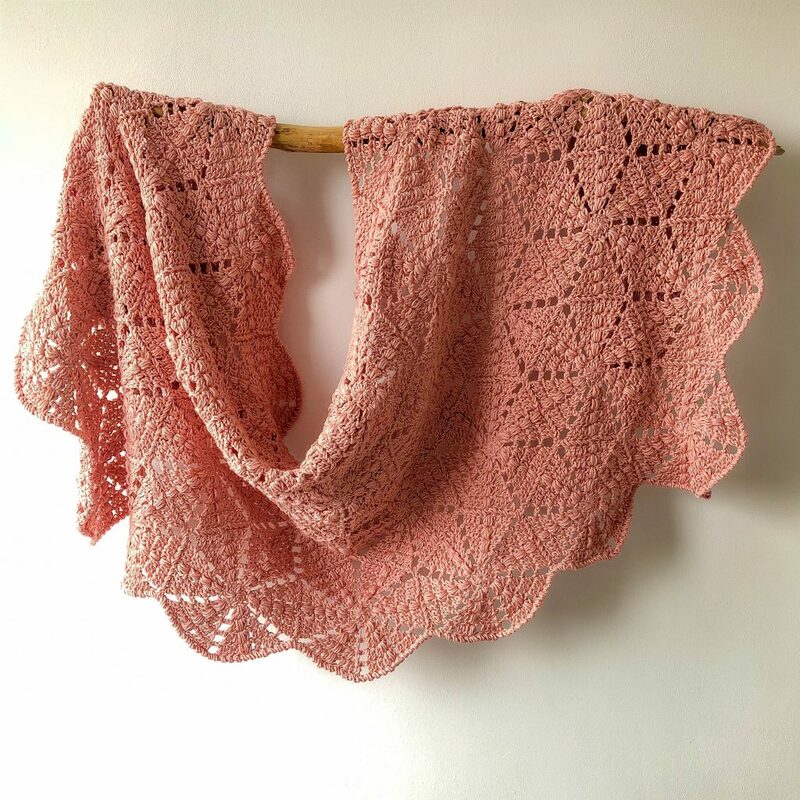 It may not come as a surprise that I opted for pink 😉 However: look how gorgeous RitsIn’s “Ursula” – crocheted by Mieke – turned out in blue!! This “Ursula” will be on display all days of the “Handwerkbeurs” at RitsIn’s booth (82). 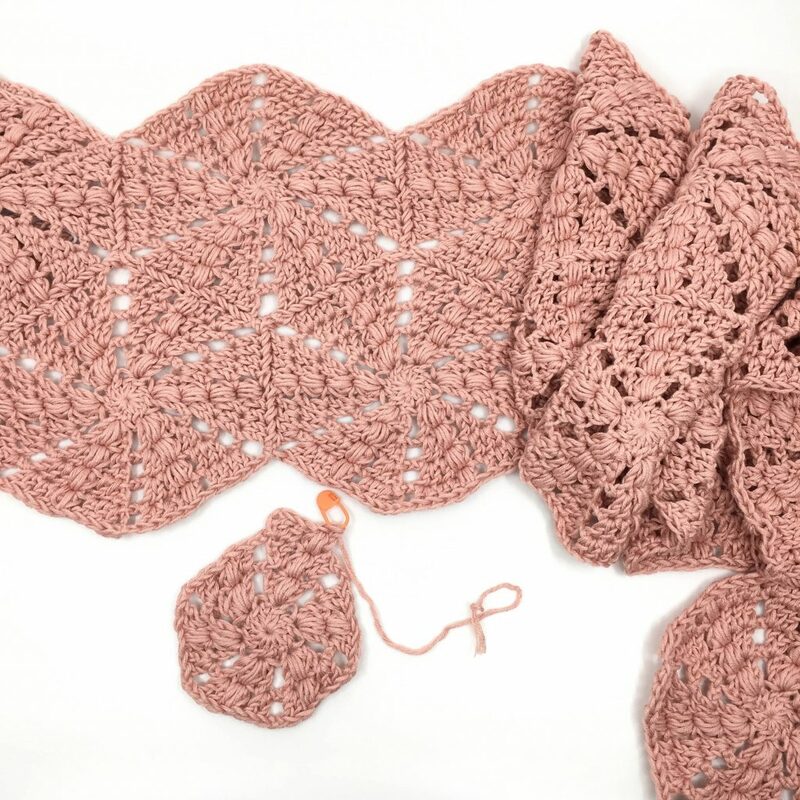 * the pattern will be exclusively available for free in a super-yarn-kit you can buy directly from RitsIn at the “Handwerkbeurs”; only if you buy the yarn kit from RitsIn at the fair, you’ll receive a coupon code to get the pattern for free in my web shop! 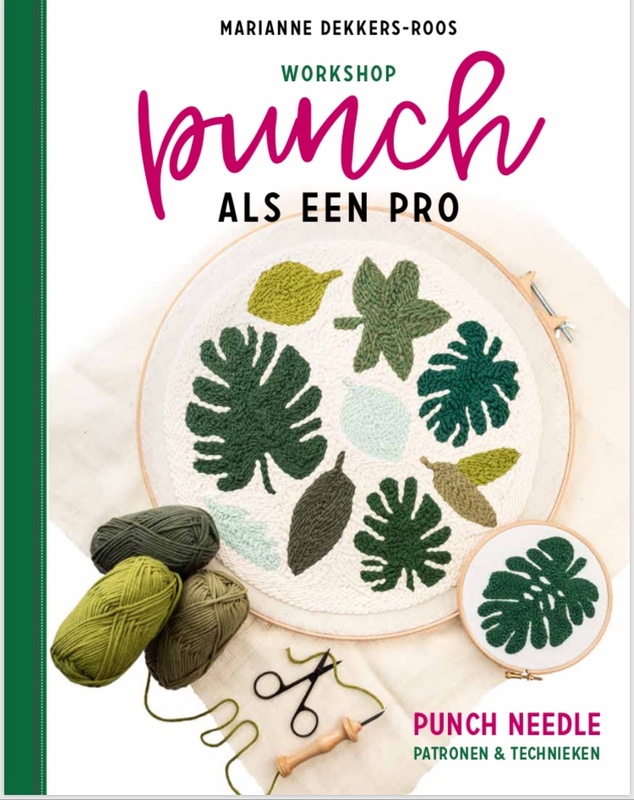 * since I realize many of you sweet followers of my blog will not be able to travel all the way to Zwolle, I’ll be offering a 20% discount on the pattern from February 14 – February 18: my little “Valentine’s Day”-gift to all of you! 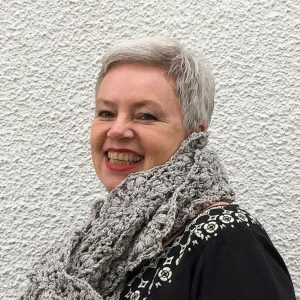 * I’ll be at the fair to chat with you, tell you all you want to know about the “Ursula”-shawl, and/or sign a copy of my book (for sale at RitsIn) Saturday February 16, from 10:00 to 13:00! Hopefully I’ll see you in Zwolle coming Saturday! Oh, and if you choose to share your “Ursula” on social media, would you be so kind as to tag #hexagonshawlursula, so we can all enjoy seeing your beautiful “Ursula’s”?